A gentle cream cleanser with natural skin refining ingredients to perfect the complexion and leave skin glowing. A gentle cream cleanser with natural skin refining ingredients to perfect the complexion. This hydrating cleanser is enriched with jojoba to prevent moisture loss, and organic white tea and echium to help slow the signs of ageing. 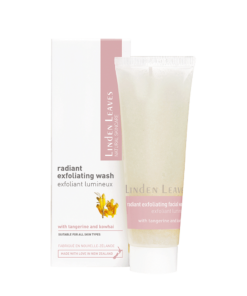 Reveal radiant skin and prevent blocked pores with gentle, natural exfoliant enzymes from papaya and pineapple. Perfect product, excellent pump design, don’t need lots and really gentle and effective. Unreservedly recommend. This product is beautiful to use, soft and gentle yet throughly cleanses my skin and removes all of my make-up. I use it every night followed by a treatment with the kiwi elixir and essential moisturiser. My skin has cleared up and is smoother and softer within days of purchasing this brand. Very happy! I love this product because my skin feels soft after using it and doesn’t have that tight feeling that seems to be common with most cleansers. It has a lovely fragrance as well. Can’t remember how many bottles I have used. I have oily skin , this cleanser is really awesome, the forming is so gently yet very effective. With pleasant natural essential oil smell, it leaves the skin clean, feel naturally soft. I have recommended it to my friends too, and it’s never failed !! !